Edward Mermelstein enjoys an accomplished career as a top-tier real estate attorney, legal strategist, businessman, consultant, investor and developer in New York City. As a founding partner of the boutique real estate and corporate law firm Rheem Bell & Mermelstein, and a partner in One & Only Holdings which includes One & Only Realty, he capitalizes on his success and expertise in real estate advisory, law, and international family office representation, benefiting clients under one powerful umbrella. 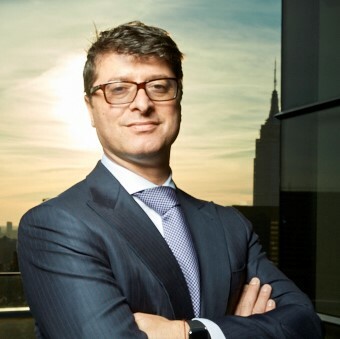 Edward’s impressive achievements and in-depth understanding of the global markets and political arena have earned him recognition as one of the 10 most influential figures in NYC real estate. He has been repeatedly featured in prominent publications like the NY Times, Wall Street Journal, The New York Observer, and The Real Dea, land appeared on Fox News, CNBC, Reuters and Bloomberg for closing complex deals and winning unique legal cases. Fluent in English and Russian, Edward emigrated to the U.S. in 1976. He holds a BA from NYU and a JD from Western Michigan Law School. Edward entered real estate brokerage in 1989 then founded his own law firm in 1995, specializing in international clients investing in the U.S., with offices in New York, Almaty, and Moscow. He has orchestrated hundreds of deals in some of Manhattan’s most prominent luxury residences as well as commercial properties.